This south of Wilshire home at 1236 Holmby Ave, LA CA 90024 lasted a brief 11 days on the market before receiving an accepted offer on 12/21/09. 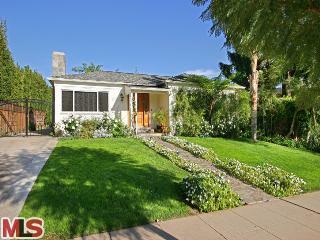 Listed on 11/23/09 for $1,249,000, this house sold a bit over the asking price...closing on 1/29/10 for $1,305,000. According to the MLS, the home is a 4 bedroom / 3.5 bath, 1,873 sq ft of living space on a 7,155 sq ft lot.